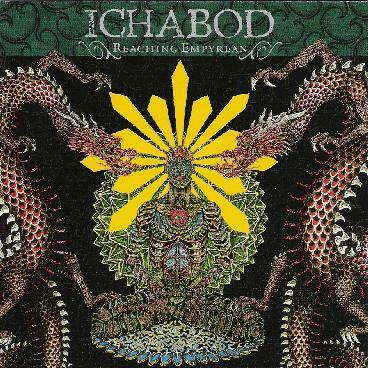 Ichabod come from the area around Lowell, MA and this is their third release and probably their best. The four piece band play some unconventional heavy rock. "Succubus" opens the CD as a heavy rocker. The title track is next and a cool mideastern style theme begins the track including some sampled sitar like sounds, before the slow heavy riff takes over and then the theme returns. A really cool track. "Kiss Tomorrow Goodbye" changes things totally with a very aggressive vocal and pounding drums and thrashing guitars before they slow it down. "Evacute" brings back a more doomy vibe. "Manna" is the nearly 10 minute long show piece of the CD with lots of interesting things happening and a very spacey ambient vibe to start the track. Sometimes you would find it hard to believe that it is the same singer on all these tracks. The track really starts to build at around 5½ minutes before the heavy guitar kicks in at 6 minutes to propel the track forward. This track shows the more adventurous psychedelic side of the band. The CD ends with "Violet Sky" (7½ minutes long) which also starts slowly with an almost bluesy feel with some cool keyboards and guitar interplay while the vocals float in the background. Great track! It leaves you wanting to hear more.. The one thing I miss on the CD is there are hardly any guitar solos! My usual complaint. Oh yeah, the artwork by Scott Cranmer is very cool! For more information you can visit the Ichabod web site at: http://www.ichabodrocks.com. Visit the Rootsucker Records web site at: http://www.rootsuckerrecords.com.